The Fort Langley Jazz & Arts Festival is a not-for-profit organization with a mandate to enrich cultural life in the Fraser Valley by bringing emerging and established jazz acts and visual art together to Fort Langley for all to enjoy. Established in 2018, the festival draws thousands of residents and visitors to the streets of Fort Langley during the last weekend in July. Local artists deliver more than 25 outdoor performances during the weekend as well as in selected pop-up spots throughout the Village and ticketed events in the evening. The festival is organized by a committee of community-spirited individuals from civic, business, and artistic enterprises that see the need and the unique opportunity to create a community arts festival that brings together live jazz music and visual art to the quaint and beautiful setting of Fort Langley, British Columbia. What started as an idea and a few conversations in late 2017, grew quickly into a reality after the favourable support and interest by the Township of Langley, local community groups and businesses and members of the community. The festival is produced by RazzMaJazz Entertainment Productions and supported by the Fort Langley Community Improvement Society, Fort Langley Business Improvement Association, Township of Langley, Tourism Langley and many local business and community partners. The festival was incorporated as a non-profit society in June 2018.
enhance Fort Langley’s historic tradition of live music, art, cultural awareness and fun for people of all ages. We hope you have fun and enjoy all that the Fort Langley Jazz & Arts Festival has to offer! Adele’s eclectic background includes time well-spent in the East Kootenay as a newspaper editor and journalist. A life-long learner, she returned to college in 2004, earning honours and a computer graphic design diploma, eventually adding social media marketing. She completed a successful web-programming and multi-media technician contract for the R.C.M.P. at the Pacific Region Training Centre in Chilliwack. For over a dozen years Adele raised butterflies for B.C. Film, celebratory release, and educational purposes. She lives in North Langley with Dave Edmondson, her husband of 36 years. They have two sons and four grandchildren; Elvis, a feisty rescued Chihuahua; and a well-loved 1942 Ford Gypsy truck. Adele is the owner of Yodel River Design. Andy Schildhorn, Stakeholder Relations Director, is the president of the Fort Langley Community Association and vice-chair of the Fort Langley Legacy Foundation. He was founding director and past president of the Fort Langley Business Improvement Association and is a retired member of the Langley Township Fire Department. Andy has been living in Fort Langley for 27 years and works as a realtor. He is a strong supporter of enhancing Fort Langley’s historic tradition of live music, art, cultural awareness and performance opportunities for youth and emerging talent. Dave has been playing tenor sax and clarinet professionally for more than 40 years. As leader of RazzMaJazz Entertainment Productions, Dave has numerous duos, trios and ensemble groups that play regularly at corporate and community events, festivals, private functions and licenced establishments. He has a unique ability to entertain audiences with a wide range of swing, traditional and popular jazz, R&B and funk music. Dave lives in Fort Langley with his wife and daughter and can often be seen playing regularly at local restaurants, cafes and wineries, as well as at establishment throughout the lower mainland. Dave is excited to make live jazz music, performed by professional world-class artists, accessible to the local and surrounding community. 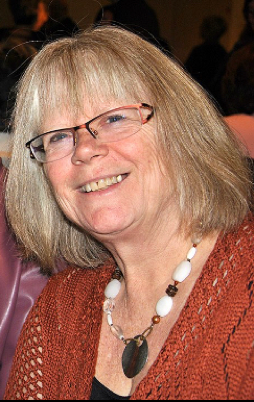 Jan has lived in Fort Langley for 38 years, raising her family and actively volunteering in local schools and the community for many events and fundraisers. She is an entrepreneur, budding artist, and co-owner and operator of Beatniks Bistro in Fort Langley with her family. She holds a certificate in Hospitality Operations Management from Kwantlen Polytechnic University and has taken Special Events Planning courses. Jan was a volunteer at the 2018 festival and is excited to be involved in organizing the 2nd annual Fort Langley Jazz Fest. As a long-time resident of the Langley Township, Jeanette Y. (Harvey) Martin greatest joy in life is being actively involved in the communities of the Langleys through volunteerism. Her company MYBC Consulting has built its foundation on ‘Connecting Customers to the Community’ through collaborations and the innovative use the social media platforms of LinkedIn, Instagram, Facebook and Twitter ‘L.I.F.T.(I.N.G.)’. Jeanette is excited to bring this knowledge to the Fort Langley Jazz and Arts Festival 2019 as one of the Co-Directors of the Marketing & Social Media Committee. Karen, her husband Bob and family have lived in Aldergrove for 30 years and are huge community supporters. As a long-time volunteer for the Aldergrove Fair and other organizations and events, Karen became involved with the Langley Volunteer Bureau in 2016 and as their President and representative, she has joined the Fort Langley Jazz and Arts Festival’s Volunteer committee. “We are very excited to be involved in the volunteer management of the Fort Langley Jazz and Art’s Festival for their second year and look forward to another successful event”. Karen is Tsimshian, Haida and Yupik and has been an active member of the Langley community, having raised her seven children here. She is the Indigenous Recreation Leader for the Township of Langley Arts, Culture, and Community Initiatives Division and also works part-time as the Office Coordinator at the Lower Fraser Valley Aboriginal Society in the city of Langley. She has served as the volunteer treasurer of the Red Jam Slam Society in Vancouver since 2016. Karen headed-up the Township’s Indigenous Circle of Health programs in 2018 in partnership with Fraser Health, Lower Fraser Valley Aboriginal Society, and Indigenous Sports Physical Activity Recreation Council. She was vice president of the Dorothy Peacock Elementary School Parent Advisory Committee (PAC) 2014-2017, and vice president of the Walnut Grove Secondary School Parent Advisory Committee (PAC) from 2015-2017. Her previous management experience includes more than 20 years managing Seattle Hospital Laboratories before moving to Langley. She received the Canada 150 award for her volunteer and charity work in Langley in 2017. Karen is a strong supporter of Indigenous wellness and bringing our communities together to work as a team to be a better Langley. She is excited to be a part of the 2019 festival. Her favorite quote is “Be the change you want to see”. Karen is a senior public affairs, marketing and stakeholder engagement professional with more than 30 years of expertise in project management, event management, stakeholder relations, public relations and marketing for large multi-stakeholder organizations. Karen has lived in Fort Langley for six years with her husband and daughter, both of whom are professional musicians. She is a Director with the Fort Langley Community Association and brings a passion for the arts and a keen interest in the Fort Langley community. She is thrilled to be working with the organizing committee, local community and business organizations, and the municipality to create a festival that celebrates live jazz music and the visual arts. Lynda has significant experience in finance, administrative management and cost/benefit analysis. To compliment her love for numbers, she also has event planning and backstage support experience. As the owner of Quest Admin Analytics and Services, she currently is a Cost and Process Analyst specializing in fuel analytics. Born and raised in the lower mainland, Lynda and her husband live in Langley, BC, close to their kids and grandkids. Lynda is a welcome member of the team and is eager to be part of this exciting community event. (L-R) Susan Magnusson, Langley Community Music School, Jodi Proznick, Kwantlen Polytechnic University, Dave Quinn, Festival artistic director, Bob Long, festival producer, and Gord Davies, Heritage Music School.